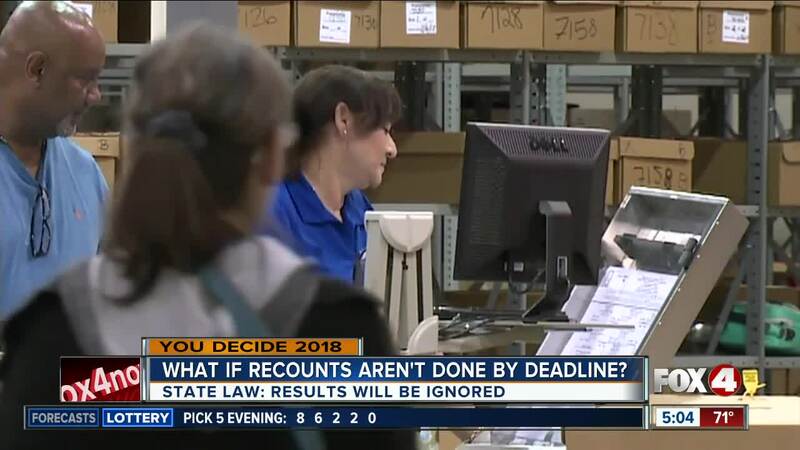 PALM BEACH COUNTY, Fla. – Every county in Florida has until Thursday to finish recounting votes but Palm Beach County election officials said they won't be done by the deadline. If they do not submit their results on time, then the results already on file will take their place. According to state law , the Thursday deadline is a hard deadline, meaning anything they have on file at the deadline will be accepted. However, anything sent in past 3PM on Thursday will be ignored. There will be no extensions either. Under state law, the secretary of state cannot grant one. If a county doesn't finish their recount, there could still be a delay in the process if a candidate decides to file a lawsuit. Palm Beach officials don't expect to meet the deadline for the full recount, but they said they will make it for the most high-profile recount in the Senate race. 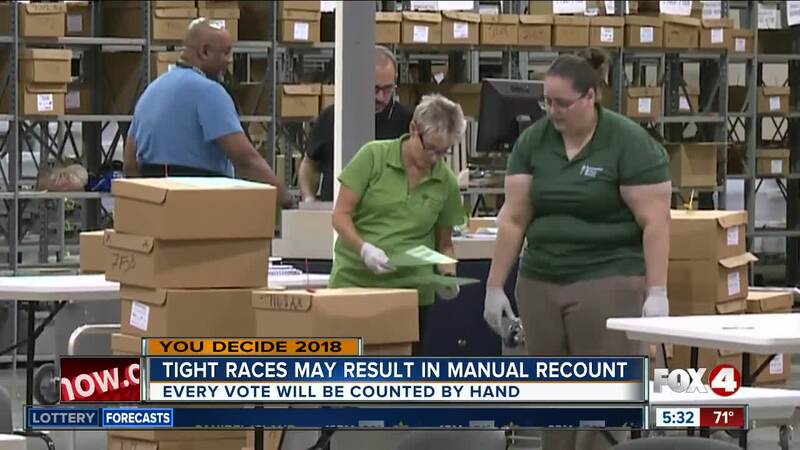 "Well, you know, the way that they have been working overnight, I didn't anticipate that everybody would be able to get through all those ballots and they've been extremely successful,” Susan Bucher, Palm Beach County Supervisor of Elections. Bucher said meeting the deadline will come down to machine power because their voting machines can only recount one race at a time. However, there is still the possibility of a manual recount. If the margin of victory is 0.25% or lower, the Secretary of State can order a manual recount, meaning every single vote will have to be counted by hand. The Governor’s race is not within that margin. At last check, 0.41% separates Ron DeSantis and Andrew Gillum . However, the Senate and Agriculture Commissioner races are currently eligible for a manual recount. If it comes to that, election officials said those results would have to be in by Sunday. The state would then confirm the results and announce the winners next week on Tuesday. The country won’t know until Thursday afternoon if a manual recount will be ordered in Florida.